BMW has an all-new M3 arriving in 2020 and inevitably, this has sparked plenty of rumours partly thanks to the popularity of the sports sedan and partly because we’ll be seeing more of the new generation of BMW’s offerings. Thanks to an unnamed BMW insider, we now have a clearer picture of what to expect from the new M3 codenamed G80. It has been reported before that the new model will source power from the company’s new S58 engine which happens to be yet again a 3.0-litre turbocharged straight-six. We have also heard rumours that the new powerplant will use either water injection or hybrid technology to give the M3 a super sedan status. Now, in a a forum on Bimmerpost, the brand’s anonymous mole leaked some specs of the new M3 as well as revealing that it will be available in three distinct trim levels namely “Pure”, “Base”, and “Competition”. 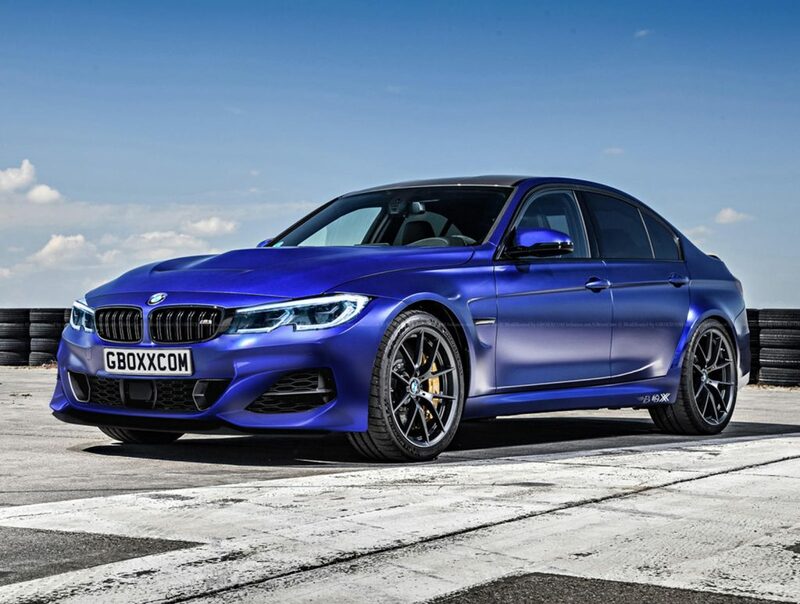 According to the post, the G80 M3 promises to stay true to BMW’s driving heritage as it kicks off its line up with 444 hp (331 kW), rear-wheel drive and a manual box. This entry-level spec will carry the “Pure” name tag and according to the insider, it will ride on 18- and 19-inch wheels front to back. The “Pure” package will also come as standard with M-Sport seats and BMW’s new infotainment and digital instrument cluster called the “Live Cockpit Professional” which we saw on the new X5 and 8 Series. Other standard features include adaptive suspension and a lockable M-Sport rear differential. Those who aren’t particularly moved by power figures in the “Pure” model should be aware that not only will the new chassis make better use of the 444 ponies (331 kW) but this will be the only model which offers pure rear-wheel drive and a manual transmission. Alternatively, there will also be the “Base” and range-topping “Competition” models which will offer at least 475 hp (354 kW) and 500 hp (373 kW) respectively. Both will feature BMW’s xDrive all-wheel drive system and automatic transmissions. That’s right, the G80 M3 will ditch the snappy double-clutch for an eight-speed auto box. It remains unclear whether or not buyers will be able to alter their own powertrain combinations, but taking into consideration that BMW does not have a manual transmission prepped for 500 hp (373 kW) it seems like those who opt for the “Competition” model will have to make do with the automatic gearbox. The good news though is that the xDrive system in both the “Base” and “Competition” trims will feature a RWD-only mode like it does in the M5. In terms of accessories, the entire options list for the regular G20 3-Series will be featured in all three trim-levels of the M3. What the “Pure” model loses out on though, are the carbon ceramic brakes and Merino leather which will be found on the Competition package. There have been a number of rumours regarding BMW’s all-new M3 but the info leaked by the company’s insider seems to be the most legit thus far. We’ll have to be a bit more patient for further insight as more figures should be let out as the new sports sedan nears production towards the end of the year.